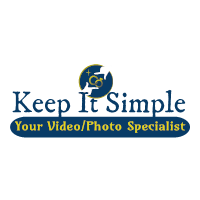 At KIS Wedding Package, we have a single goal: simplify your load in decision making when it comes to hiring a video/photographer for your wedding day. We are focused. While others chase trendy package options, we continually improve our products and customer experience. Industry-leading support, top-notch books, frames, thank you cards and videos, efficient ordering, clear communication and rapid turn-around time are the results. KEEP IT SIMPLE is less—and we all know, less is more.